A popular way of teaching history is to have students rewrite the events of the past as a newspaper. It’s this concept that led David Clarke used to take a look at the year 1066. The Saxon Times is a series of newspaper issues, where the reporters cover the events in England. It offers the history of the Norman Conquest every few weeks at a time, with special issues centred around the battles of Stamford Bridge and Hastings. One of Holbein’s first great triumphs, The Dance of Death is an incomparable sequence of tiny woodcuts showing the folly of human greed and pride, with each image packed with drama, wit and horror as a skeleton mocks and terrifies everyone from the emperor to a ploughman. Taking full advantage of the new literary culture of the early 16th century, The Dance of Death took an old medieval theme and made it new. This edition of The Dance of Death reproduces a complete set from the British Museum, with many details highlighted and examples of other works in this grisly field. Excerpt: Who wants to hear about where St. Clement was born and into what kind of family, about the way in which his father, his mother, and his brothers were separated from each other and how they later recognized each other, and how they turned to St. Peter, thanks to whom they all found each other? Anybody who wishes to know all this will certainly learn it through this story. Publisher’s Blurb: This book provides the first in-depth exploration of video games as history. Chapman puts forth five basic categories of analysis for understanding historical video games: simulation and epistemology, time, space, narrative, and affordance. Through these methods of analysis he explores what these games uniquely offer as a new form of history and how they produce representations of the past. 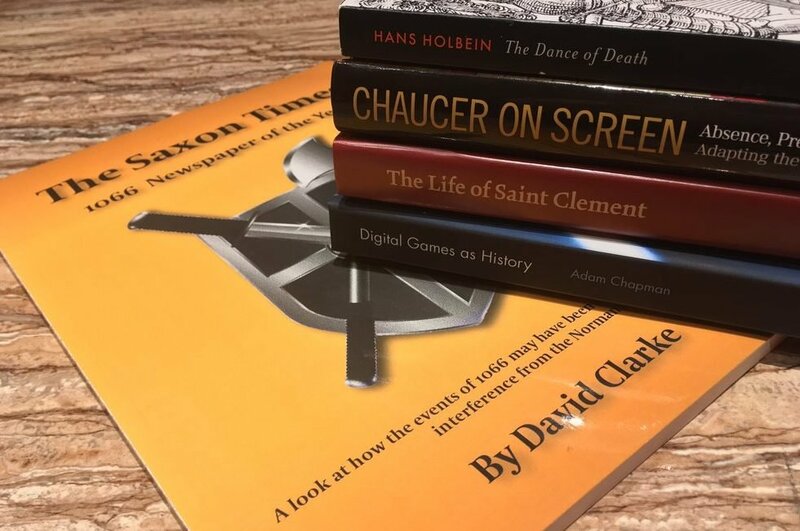 By taking an inter-disciplinary and accessible approach the book provides a specific and firm first foundation upon which to build further examination of the potential of video games as a historical form.